Smart thermostats help keep your home a comfortable temperature with little effort on your end—and help you save money in the process. But the Ecobee4, our favorite smart thermostat, does a whole lot more than just that. Its built-in Alexa capabilities turn the Ecobee4 into a bona fide smart hub, and today, you can save $50 off its list price on Amazon, bringing it down to $199. This smart thermostat relies on a remote sensor system to keep on top of your HVAC system and your home’s temperature at large. With these sensors, the Ecobee4 can tell the conditions in different areas of your house and fine-tune temperature controls as needed. This also makes it so that, although the Ecobee system makes setting new schedules a little complicated, you probably won’t need to often. The connected app means you can control your thermostat from anywhere, and if you want to do it in person its touch screen is easy to use. Now, about that Alexa support. Although it’s not totally necessary for a smart thermostat, it is cool to be able to play music and use voice control without an external hub. And on that note, if you do have a Google Home you want to connect, the Ecobee4 is now compatible with the Google Assistant as well. 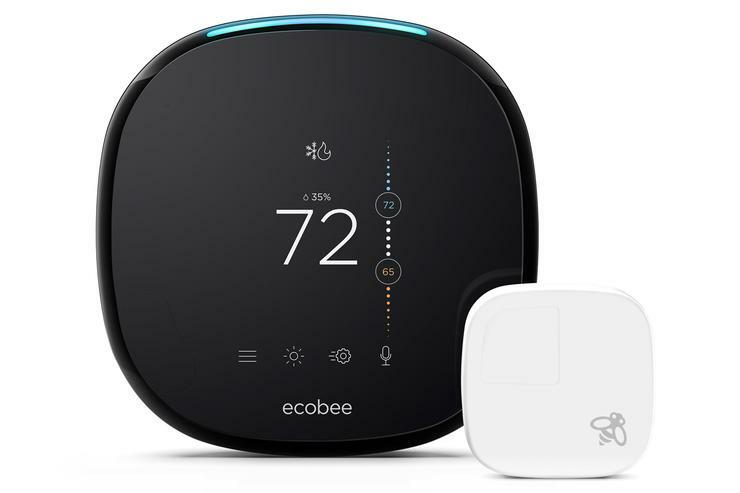 We gave the Ecobee4 smart thermostat 4.5 out of 5 stars and an Editors’ Choice award in our review, praising for its sensors, intuitive setup, and convenient touchscreen. It’s the best smart thermostat you can buy.